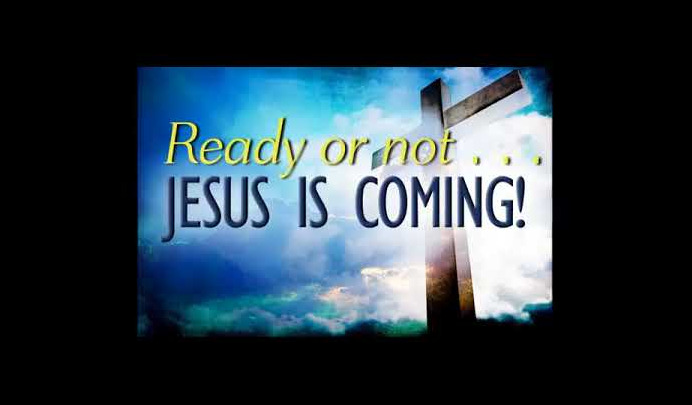 It's Time to Get Serious About Preparing to Meet the Lord Jesus! We are only years away from the Lord's glorious return - please click on the below link to understand about the Lord's SOON return. Until that time, we will be going through periods of sorrow, chaos, horrendous war, disasters, and tribulation. The following video will help you understand why all of this misery is coming upon us and will help you be PREPARED to meet the Lord our mighty God! 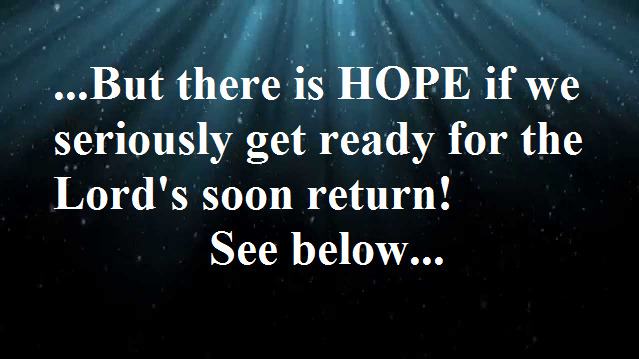 Click here to learn more about JESUS' SOON RETURN! 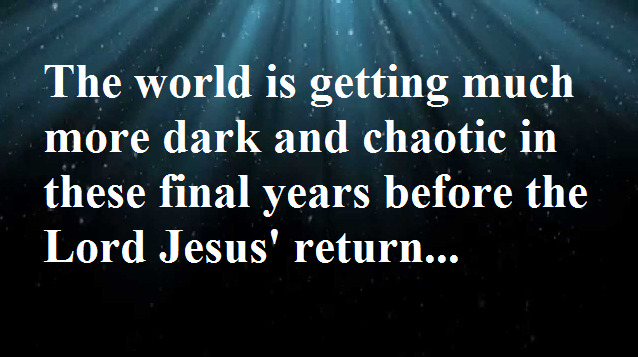 Please watch the following video which will help explain about WHY our world is falling apart and HOW to be PREPARED for the Lord's soon return and know HOPE! Since everything will change suddenly and in the near future then make sure now that you are truly ready to meet the Lord! Here is another very excellent message which will help you to be truly ready and prepared. Our Mission - To Help Lead Others to a Saving Faith in Jesus Christ! 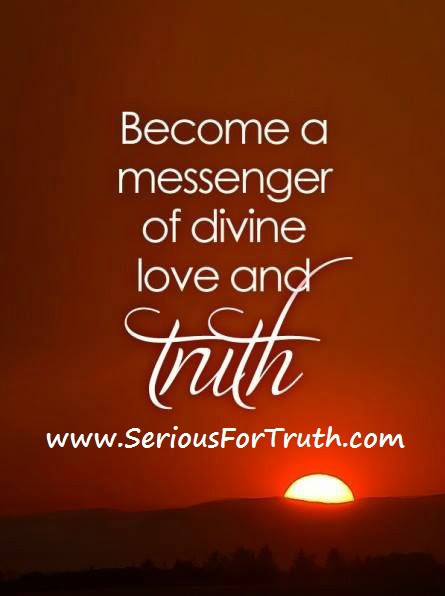 This is a ministry that shares God's truths very straightforwardly but in a spirit of love. We wish to share the Gospel above all else since this is the most urgent message people need to know and the one message which brings the hope of salvation to mankind. We ask all people to be highly alert since many false gospels are being shared that exclude God's full truths. For the true Gospel message please click below. We seek the Bible as our authority for truth. You are welcome to view an assortment of articles on a variety of very important Christian topics. We pray that the articles here will not only guide in the fullness of God's truths but also give encouragement and hope. The main purpose of this ministry is to obey the Lord in sharing the Gospel with all people that the lost may be saved and that the righteous be encouraged, edified, and led in the truth in all areas. We also wish to share other faithful ministries in the Body of Christ who faithfully and accurately teach God's truths in a spirit of love..
Time is Short - Get Ready! We would like to especially emphasize the importance of understanding the prophecies concerning the second coming of Jesus Christ. There is strong biblical evidence that this time is quickly approaching and we should be getting prepared and knowledgeable about these events. 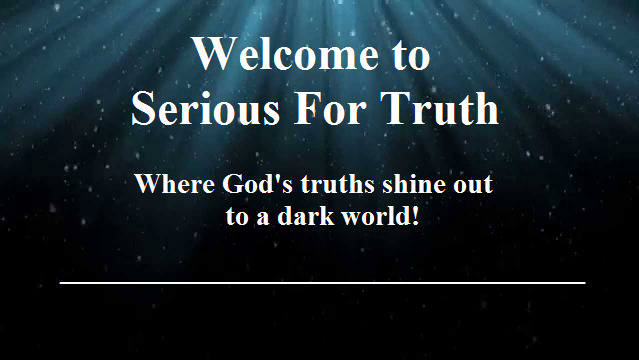 Please click on the following link for an article that shares several scriptures and information that give irrefutable signs that we are living in the last days before the return of Jesus Christ. The most urgent mission according to the Lord Jesus Christ is that we 'feed His sheep'. The Lord wants us to be more concerned about the salvation of men's souls than any other priority since He wants no one to perish apart from Him in hell, but for all to come to repentance and know the hope of eternal life (2 Peter 3:9). Please pass on any messages as you feel led and if you would like to be involved in crucial Christian missions work please click below. Thank you! If you have any prayer requests, questions or comments, please send us an email and we will get back with you as soon as possible. Thank you! Enjoy this beautiful song of HOPE in the joy of looking forward to our Lord Jesus' return in power and glory! Press on to that amazing day!